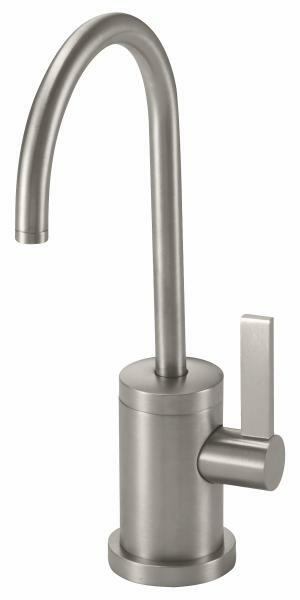 California Faucets has added a single-handle dual hot and cold water dispenser to its Kitchen Collection of faucets. Rotating the handle forward dispenses cold, filtered water, while moving it backward releases instant hot water from the spout. It features an insulated body and a self-closing hot water mechanism to prevent burns. The hot water dispenser requires the use of a hot water tank, sold separately. 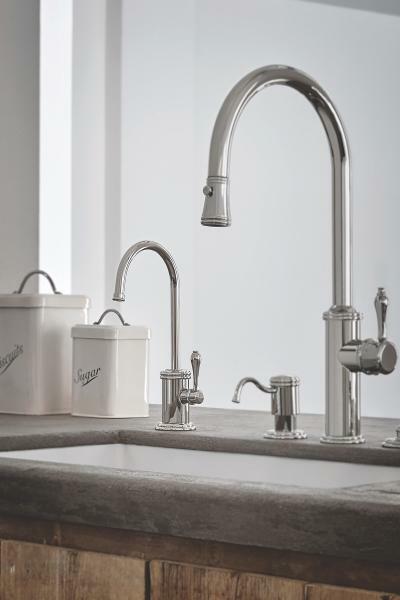 The faucet can be specified to match other Kitchen Collection components in three traditional or modern bodies, as well as a dozen unique handle option in different styles. More than 30 finishes are available, including 15 PVD finishes. The solid brass unit measures 10 ¾-inches tall and has a maximum flow rate of 1.0 gpm.